The Next Xbox Will Be Revealed Tomorrow. Here's What To Expect. This is it. Tomorrow, during an event that will likely set a new benchmark for dubstep and flashing green lights, we'll finally get to see Microsoft's next gaming console. About time, right? Sony announced the PlayStation 4 in February, and now, just a few weeks before E3, we're finally going to see the other major part of the next-next-next generation: the third Xbox. Let's go through the major bullet points. Tomorrow, the name Durango will go the way of Orbis. RIP Durango and Orbis. Miss you bros. It's okay, though. No matter what Microsoft has decided to call their next machine—Xbox Infinity, Xbox 720, Xboxtaku, whatever—we'll get the hang of it eventually, just like we got the hang of Xbox 360, and Wii, and Wii U. Err. Well, okay, maybe they shouldn't call it Xbox U. For quite some time now, Microsoft has positioned their Xbox not just as a gaming console but as an entertainment device. Multiple rumors from all over the Internet have suggested that the next Xbox will be seriously mad if you only use it for games. Microsoft's new device may support cable in some way—we hear it has an HDMI output and input—and it will most definitely be an all-purpose Swiss army knife of a console that lets you watch movies, record TV, stream online videos, and toast waffles. ...we will see the next Call of Duty tomorrow. There will be guns. There might even be explosions. Angry men will shoot at things. Bank on it. Expect at least a few minutes of footage from Call of Duty: Ghosts, along with someone talking about how amazing it's going to be on the next Xbox's version of Xbox Live. Maybe we'll hear about some of the cool new things that developers can do with Achievements on the new system. Maybe they'll tell us how to avoid being called racial slurs by thirteen-year-old boys. Do you live in Japan? Sorry! Tomorrow's big event is at 1pm Eastern, which is actually 2am in Japan. Perhaps Microsoft is admitting defeat in the East, where they've never quite been able to sell consoles. My guess: we're not going to see much of a Japanese presence at tomorrow's event, if we see any at all. Unless Square Enix shows up and plays the Luminous Engine trailer, which would make it the funniest event in gaming history. 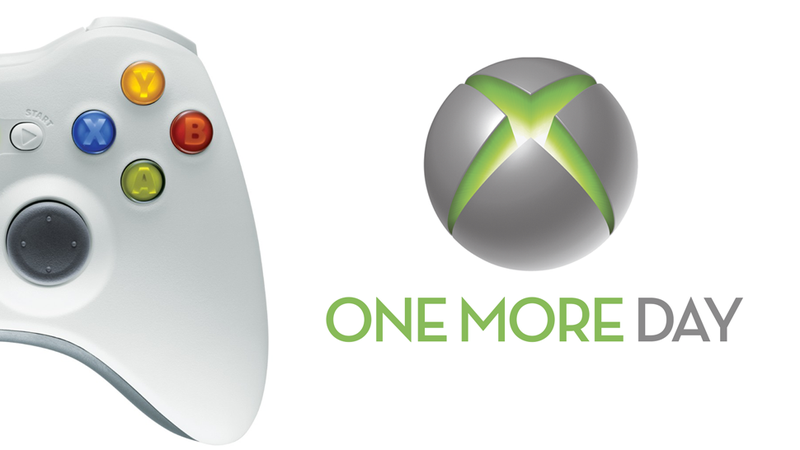 Will this be part of the next Xbox? An accessory? A silly gimmick? I guess we'll see tomorrow. Tomorrow, after months and years of rumors, we could finally find out the truth: will the next Xbox require an Internet connection for games to work? Well, or we could find out nothing. Microsoft could be annoyingly vague—"Today's gamer is always connected, and this console is for them. "—and refuse to answer questions about how any online-only functionality/anti-used-game protection works. Don't expect them to be clear about everything. Okay. Your turn. What do you expect to see tomorrow?